The Nokia Asha 308 can be reset back to factory settings. You will see how to factory reset the Asha 308 mobile phone before you sell or change your mobile phone. There is also the options of formatting your memory card and this is also show below. We will cover the memory card format first. You can also look at the basic settings for the Asha 308. The Nokia Asha 308 factory reset is very easy to do and you should be aware that once you reset the Asha 308 that you will not be able to recover the data or the settings again. You should look at making a backup to your SDCard first before you make use of a hard reset. If you are going to sell or resell your Nokia X2-02 then you want to do a factory reset on the mobile phone to clear all the data. Note that when you do a hard reset or a factory reset it will delete all your settings and data so you need to make a backup of your phone if you wish to save and use your data again as you cannot recover it. You can do a reset on your Samsung J6 much like other mobile phones. Also look to ensure that you have made a backup of your phone before you do the reset process as it will permanently delete all the data. See other link below for more information. If you wish to reset your mobile phone be this a hard reset to factory reset you can use the following procedures to reset your mobile phone. Note that it will remove your data, address book as well as your APN settings which you might have. It will only have the data that the phone originally came with. Ensure that you backup your data as you cannot recover your settings and data again. You can backup your data to another phone or backup your phone to your computer. Alternatively you can reset the settings only. This is the reset for the Nokia E-Series mobile phones. These had been mainly Symbian mobile phones. There had been a number of models in the Nokia range with the E-Series phones and their hard reset or factory reset has been added below as they are all the same. Note that the list of E-Series mobile phones below can be set by code, menu and button sequence. Follow the easy to use instructions. If you are going to sell your mobile phone or Ipad you will need to do a factory reset in order to bring the phone or tablet back to when you had bought the device. Since the Apple products are linked to the iCloud service there is a process to do a reset of the phone or tablet so do not delete the address book and data as it might delete it from the iCloud and from any other devices. The factory reset of the LG G4 H815 or hard reset can be done either manually by pressing buttons or by software by doing the hard reset via the menu. You will note that when you do a reset much like other LG phones you will not be able to recover the data or files again once the reset had been done. You will do this at your own risk. You have been warned. If you wish to reset the LG G3 D855 then you will need to follow the following instructions which are standard on this range of LG mobile phones. 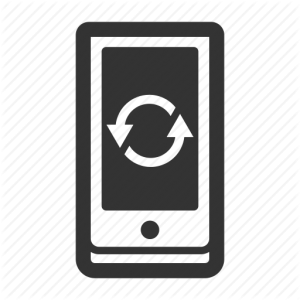 Note that there are two options when doing a hard reset on the LG G3 D855. There is the manual way of doing this and also the software process to do a factory reset. You do this at your own risk as it deletes all your settings. The LG G5 mobile phone is a well known and popular mobile phone. If you are selling your phone or buying a second hand one then you will need to do a factory reset of the phone. This can be done much like other LG phones as the process for a hard reset has been added below. Ensure that you have made a backup of the phone.